Hello, lovelies! 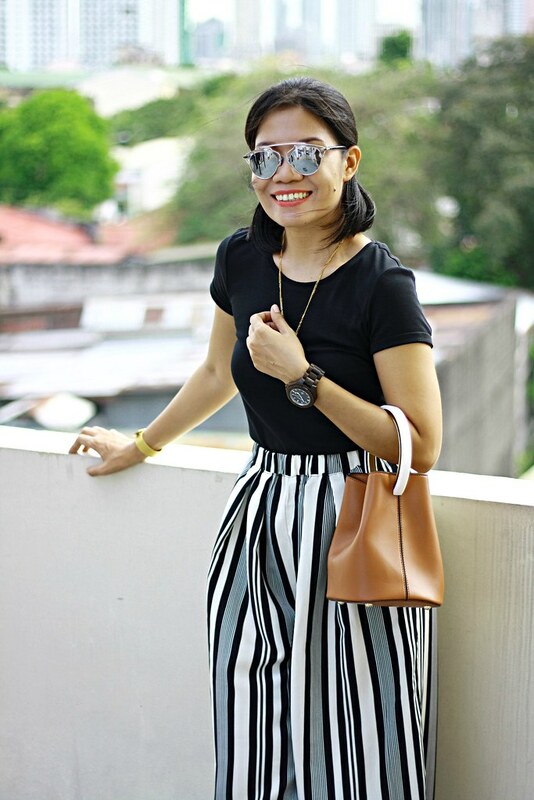 Today's outfit post is about neutral colors particularly black and white. These colors are the safest combo color for an outfit. And yes, I'm sporting this combo featuring the items ROSEGAL sent over weeks ago. 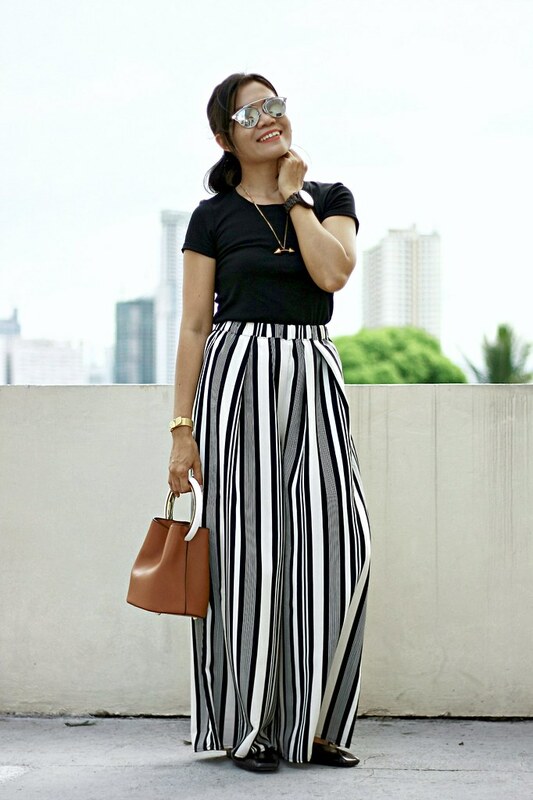 As they say, you can't go wrong with black and so as this color combo of black & white. These nuetral colors are same as denim. With denim, you can style and match it anyway you want to. You may want to check out denim midi dress here. Alright, here's the style I came up with for balck & white combo. I love palazzo pants! 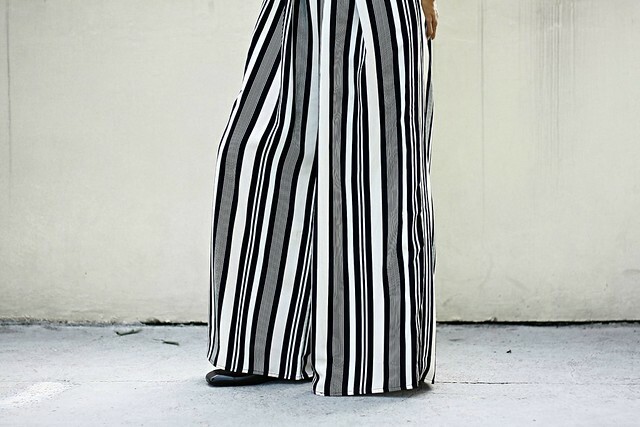 That's why when I saw this vertical stripes wide-leg palazzo pants, I said to myself there is no way I'm not getting one because honestly, I've seen this exact palazzo pants in may online stores but it was always out-of-stock. I was jumping in glee because there's still a size large available in Dresslily (there's no Medium). I'm surprised of the quality this palazzo had. The fabric is not cheap and no sheer. The length is perfect with my height so I can still wear flat shoes. I find this flat heel square toe slippers unique. I love its design! The flat thin heels and elongated toes just make this slippers classy. What do you think? It's been my go-to footwear whenever I go out may it be just to do errands or even going to work. I've received a lot of compliments with this pair and I really don't wonder. I also want to order the color white.